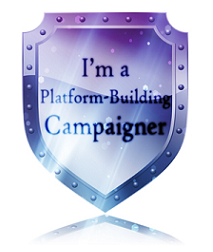 ← Remember the Writer’s Campaigner Challenges? I’m in Heaven! I found another book not on Susanna’s list and a Cheerios book. Karma Wilson is a favorite and this book is not her first so I’m not sure what is doing in a Cheerios box but that’s where I found it. And that’s why I’m reviewing it here as part of my Cheerios series. I’ve just had Chocolate Cream Pie for breakfast and am good to go. Mmmm that was good! *Yum* And there is the rest of the pie for another day! Are you readers enjoying your breakfast? Anything Chocolate? Cheerios? Resources: I didn’t find anything specific to this book but only generally related information. A general teacher’s guide, not just for this book but for any subject is http://www.theteachersguide.com/. You will find guides for literature, math, social studies and all the major subjects here. If you don’t have a plan, go here and something will bound to come to you for making your day easier. For a poem that is similar to the book and accents it, called Sandman, http://www.theteachersguide.com/kidsongs/littlesandman.htm. This next one is more for parents who are trying to get their Sleepyhead up to go to the bus. http://www.education.com/reference/article/Ref_9_Ways_Boost_Your/. There are nine ways to help your child have a more positive attitude in the morning. This web site also has age and grade specific guides for teaching and parenting. Here is the one for teachers. http://www.education.com/topic/teacher-resources/. If the teacher or parent were interested in all of Karma Wilsons work including Bear Snores On there is an author site with all kinds of activities. http://authors.simonandschuster.net/Karma-Wilson/20539052 . Her other author site, http://www.karmawilson.com/books/main.htm, totally avoids any mention of Sleepyhead and I wonder if it’s because it was a Cheerios Spoonful of Stories book. It certainly wasn’t her first or the First Author Cheerios Contest winner. I’m just perplexed by it. I’m just not sure but I looked everywhere and couldn’t find anything on it. The place where there was the merest mention of being a Karma Wilson book was on her printable book list. http://www.karmawilson.com/booklist.htm. She is some kind of picture book goddess with over 42 books on that list. Summary: there is a Sleepyhead that needs to go to sleep but has one more reason and excuse not to. This is about a mother or parent encouraging the child to go to sleep but the child resists. The parent shows infinite patience with this resistance. The love is great. Why I love it: For the same reason as the other Cheerios books, the subject is universal. Children all over the world show resistance before going to sleep. I don’t know if parents all over the world are this patient with it but this one is a saint. 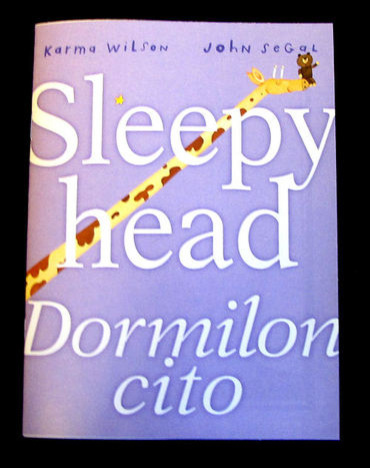 Sleepyhead is just right for the kids that this book is read aloud to. Each American child can empathize with this book. Do you think you will like this book? Why? This entry was posted in blogging, Clara Bowman-Jahn, Clarike Bowman-Jahn, Course or Book Review, Perfect Picture Book Friday, social networking and tagged Cheerios, Karma Wilson, Perfect Picture Book Friday, Picture book, Sleepyhead, Susanna Leonard Hill. Bookmark the permalink. Clar, this is perfect and no I’m not that patient. Thanks for the great resources too. I am definitely looking out for this. Ha Ha! I’m not that patient either! But I laid down beside my youngest till he fell asleep each night till he was almost four. Now he’s engaged to get married and perhaps I’ll get grand kids soon. lol. You’ll find out one day when you have kids asking why after everything you do, Erik. And then won’t go to sleep when you’re so exhausted you can’t keep your eyes open. lol. Books especially for nighttime. What a special thing for parents and kids. And the patience and love shown…ahhhh, beautiful. Wow, this must be one of the very few of Karma’s books that I haven’t heard of! Thanks so much for the introduction. Sounds like a sweet story, Clar…and the links, I can tell, will be helpful. I’m checking them out! Good pick, had thought of it as a PPBF choice too! Lovely to see a book by Karma Wilson. 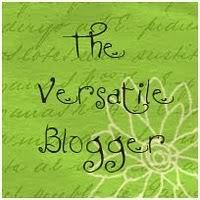 She and I were early members of the now global Children’s Writers and Illustrators online list. In those days neither of us was published, and we all helped and encouraged each other. Many wonderful writers got their start on this list, where mentoring beginners was a favorite pastime. Karma was best friends with the late, great. Lynda Smith, who was one of the lovely ladies who mentored my first stumbling steps into serious writing for children. Aha. . . those indeed were the days!! I think Karma’s first success was Bear Snores On. She was, and still is, a huge bundle of talent. OH My! Margot, you and Karma go way back don’t you? So happy for you. What a treat to know you. I just reread some of the emails we sent each other back over the winter. We did go on. ls so nice. There’s always room on the bookshelf for one more sleepy-time story. Love ’em. Thanks! yep! Am reblogging. Again. I Didn’t get it in my email box so am worried others aren’t getting either. Also am not getting comments in my inbox. Any one know what’s going on?? Thanks for sharing. Am not familiar with this Karma Wilson book. Sounds charming. The Cheerios series has been interesting. Great kids get this exposure! OH good! I’m glad the link came up in your email. It still hasn’t come up for me. I think I need to contact support. I enjoyed this review!! 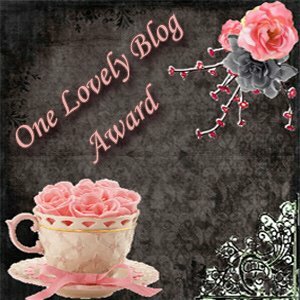 Do you do reviews for authors that ask or just books you love. Micki Peluso author of . . .And the Whippoorwill Sang, a true family story of love, laughter and loss. This sounds like a good one for my three-year-old who shouts, “I hate to go to bed!” every night. The first sentence is part of our nightly routine right now. We’ll need to check this out. I love Chocolate Cream Pie, too. And yes, I eat it for breakfast! lol.